You are here: Home » How to » How to: The Nappy Suit » SOLUTION: How can I weigh my bird? This is the good example of that why you cannot tell their Nappy suit size by age. Stanley(Left) is around 3months old and he weighs nearly 100g, on the other hand Charlie (right) is 1year and 2months and he weighs 77g. I use the digital kitchen scale and put a toilet roll on it as a bird stand. 1. Use a DIGITAL Kitchen Scale. You can buy a digital kitchen scale with reasonable price. The most DIGITAL kitchen scales have the function which can change between oz and grams. Please look for it carefully. I would like you to get the right size Nappy suit, it will make easier for you and your bird to get used to the Nappy suit and the whole procedure. As you can imagine it’s not natural for birds to wear a Nappy suit. They tend to get their feet in the Nappy suit to kick it out (it looks like they are stumbling), if the nappy suit is too big then there is more chance for them to do this. 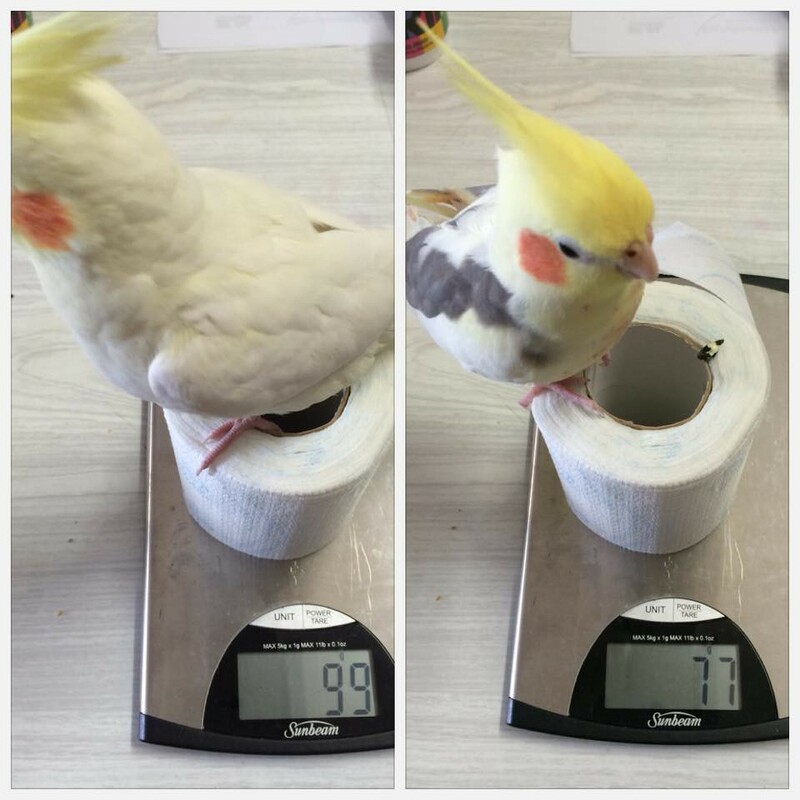 Also, I consider that there is less chance to be successful, if the bird’s owner doesn’t want to do the basic thing like weighing their bird correctly. How can you train your bird to get used to the Nappy suit which needs more efforts and time compared to weighing your bird?